When is Ramadan in Dubai starting? When will Dubai Ramadan end? Should we be visiting Dubai in Ramadan? Is Ramadan a bad time for non-muslim tourists who are visiting Dubai? Can we eat during our stay in Dubai in the month of Ramadan? What about kids, can they eat or drink during Ramadan? Is alcohol banned in Dubai during Ramadan? What about malls, concerts and bars are they all closed during fasting hours? Every year the onset of Dubai Ramadan adds interest and intrigue among foreign tourists and Dubai Forums are full of questions to know if Dubai transforms during this holy month or remain the same. The most common questions that are posted include When is Ramadan in Dubai starting? When will Dubai Ramadan end? Should we be visiting Dubai in Ramadan? Is Ramadan a bad time for non-muslim tourists who are visiting Dubai? Can we eat during our stay in Dubai in the month of Ramadan? What about kids, can they eat or drink during Ramadan? Is alcohol banned in Dubai during Ramadan? What about malls, concerts and bars are they all closed during fasting hours? Through this blog we will try to answer all your Dubai Ramadan queries one by one and even if some are left then feel free to contact us and we will answer it right away. To begin with, cast aside your apprehensions as Ramadan is indeed a Holy month but still a large number of non-muslim tourists visit Dubai during Ramadan and find it quite an amazing rather memorable experience as all that is required is to be a sensible and act like a responsive traveler. Now let us answer your questions one by one. Ramadan (Ramadhan /Ramadaan /Ramazan /Ramada) is a Muslim religious observance that takes place during the ninth month of the Islamic lunar calendar. It is believed to be the month in which the Qur'an (Muslim Holy Book) began to be revealed to the Holy Prophet Hazrat Muhammad(P.B.U.H) almost fourteen centuries ago. During this month the gates of Paradise are open and that of Hell are closed so it’s the time for muslims to wash away their sins and enjoy Allah’s unlimited mercy. Muslims are obligated to fast during this entire month. When is Dubai RAMADAN 2011 starting? In 2011, the Holy month of Ramadan is expected to start on Monday 1st of August 2011 and end around 29 or 30 days later on Tuesday 30th of August 2011 (precise timings will depend on sighting of the new moon). 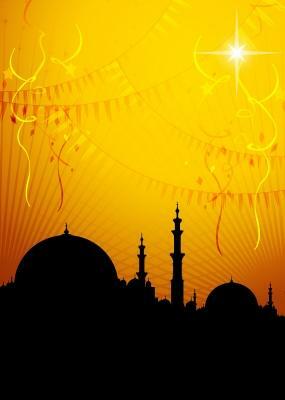 Ramadan is followed by 3 day celebration known as Eid-al-Fitr that marks the end of the fasting time. Fasting is the fourth of the five pillars of Islam and is mandatory to all able-bodied Muslims. While observing fast Muslims are required not only to abstain completely from all bodily pleasures such as eating, drinking, smoking but also from any type of evil deed in the daylight hours otherwise the fast will be broken. By fasting Muslims learn to suppress their worldly desires and spend more time in reading Holy Quran, praying, meditating, being charitable and all that is required to deepen their faith and purify their souls. Are there people who are exempted from fast? Do kids have to fast too? Fasting is mandatory upon those who are sane, healthy and have reached their puberty thus kids are not obligated to fast. Many families although encourage kids to fast in order to train them for future fasting. How do Muslims celebrate Ramadan in Dubai? Dubai is a city of celebration so it welcomes Ramadan in its own unique way. Families get up early for a meal known as “Suhoor” to commence their fast. After the sun sets, the fast is broken with a meal known as “Iftar”. A traditional way to break Ramadan fast is by having dates and Arabic coffee. It’s because of this change in routine, life in Dubai turns almost upside down as in the day light hours there is little or no activity but the city comes alive at the night. During Ramadan in Dubai you will get a chance to see several large air-conditioned Arabic tents known as Majlis and Jaimas being set up by all the major hotels of Dubai on the famous Dubai beaches or at the rooftops. Ethnic yet luxurious, these tents give visitors an insight of the rich Arabic culture with its Persian carpets, colored-glass lanterns, glowing palm trees and Arabic folk music. Ramadan Tents in Dubai offer visitors a firsthand chance to enjoy Dubai life in its true form. Foreigners can mingle with locals, savor Ramadan buffets of local dishes (such as harees, falafel, matchbous, and balaleet) and enjoy Arabic drinks such as Salep (a milky drink flavored with nuts and cinnamon) or Jallab, (date juice with pine nuts, raisins and rose) and not to forget the popular flavoured Shisha (also known as Hookah or Water Pipe). During the Shisha sessions several games such as cards, backgammon and dominoes are played late into night. Thus it’s inside those tents that you can feel the rich Arabic culture and a cheerful atmosphere that keep the tourism alive in Dubai even during Ramadan. Can non muslims or those not observing fast eat or drink in daylight hours? Yes they can but not in public. Nearly all hotels serve food during the day. A few food courts in each mall will also be opened but will be screened away from public. You can eat, drink or even smoke inside the premises of your hotel or Dubai Serviced Apartment. But be careful not to chew or drink when shopping, walking along the road or even while traveling. Is alcohol banned in Dubai during Ramadan? No its not. But Alcohol is served only at night in hotel or even at bars but there will be no live music only Dj’s. Dubai Duty Free is open for Alcohol sales 24/7 as normal. What about kids, can they eat or drink during Ramadan? Children, pregnant or nursing women as well as those who are ill can eat or drink but needs to be careful while in public places. What about beaches, malls, concerts and bars are they all closed during fasting hours? The beaches stay open. Water sports facilities, health and leisure centers have normal operating hours. Shopping and other activities during day light hours somber in Dubai and you may find a few shops closed but the business along with hustle and bustle of malls return to normal once the fast in broken and this continues till late night. All concerts are however banned and bars operate after 8 pm with no live music. Is there a dress code in Ramadan? Although there is no specific dress code but both men and women are expected to wear conservative clothing as a sign of respect. Several men and women can be seen wearing long shorts although modest dressing is preferred. Are Non-Muslims required to follow Ramadan practices? Islam is a tolerant religion which respects people of all cultures, races and religions and the city of Dubai thrives on tourism. So there are no firm restrictions however, as a sign of respect to the visiting country, tourists are asked to avoid having food, drinks, chewing gum and smoking in public during fasting hours. They are however allowed and in fact welcome to enjoy and know about Muslim festivities and observances. Dubai capitalize heavily on its tourism and therefore the only restrictions you will have is not being allowed to eat or drink whilst walking along the road, or walking round the shopping mall during the day. Why should a foreign tourist visit Dubai in Ramadan when they can visit the city any other time? Sadly because of lack of information there is always a hesitation of visiting Dubai in Ramadan when in reality it is one of the best time to visit the city on budget. To begin with you will find cheap flights to Dubai. Not only that, rates of hotels, Dubai Furnished and Serviced Holiday Rentals, and restaurants are low and will give your travel budget a boost. And what more you will have all the attractions to yourself without any of the delays and waits. Also with Eid ul fitar marking the end of Ramadan many exciting offers and deals are up for grab. So you can shop more by paying less. With DSS (Dubai Summer Surprises) already having a successful run in Dubai this year and with the start of Ramadan it definitely is an ideal time to visit Dubai. Also My Dubai Stay Serviced Holiday Rentals has this year announced irresistible packages which you can find on My Dubai Stay Ramadan Offers page. How can I wish Happy Ramadan to a Muslim? Why book with My Dubai Stay Serviced Holiday Rental Apartments and Villas when I can book a Dubai Hotel? The question should be why not book with My Dubai Stay Furnished and Serviced Apartments that offer visitors best service and high quality accommodation options in Dubai. With apartments at Dubai Marina, Downtown Burj Dubai, Jumeirah Beach Residences, Jumeirah Lake Towers, Palm Golden Mile, Palm Jumeirah Marina, Palm Jumeirah, Springs and Villas at Palm Jumeirah it indeed offers holiday planners a plethora of options to choose from. For immediate search visit our Dubai Flats, Dubai Short Stay Apartments, Dubai Short Term Apartments, Dubai Serviced Apartments, Dubai Rental Apartments and Dubai Self Catering Apartments. Thank you for such a delightful insight about Ramadan in Dubai. Dubai Ramadan is truly an amazing spiritual as well as fun filled experience and I have always look forward to it like any other holiday. Good job ! Dubai in Ramadan always arises so many questions. Its good to see all of them answered at once place. Dubai surely is an interesting place eh? um must tell ya that yr site contains interesting info abt dubayy. Ramadan in Dubai though is not such a great perios but the way you have presented it wuld lik to visit it. nice one dude!